Doctor Who The Power of the Daleks Animated Release Confirmed! The Power of the Daleks Animated Release Confirmed! We will get our power! We will get out power! BBC Worldwide has announced that a brand new animated version of the missing Doctor Who story The Power of the Daleks is to be released exclusively via the BBC Store, and then on DVD. This classic six-part adventure from Doctor Who’s Fourth Season, has often been one of the original series’ most celebrated, and was originally broadcast in 1966. The Power of the Daleks was Patrick Troughton’s first story as the Doctor following the departure of William Hartnell from the lead role during the final episode of The Tenth Planet (1966) – with the first ever regeneration of the Time Lord! Power of the Daleks saw Patrick Troughton’s newly regenerated 2nd incarnation of the Doctor, along with his companions Ben (Michael Craze) and Polly (Anneke Wills), arrive on the planet Vulcan for an adventure set in a fraught Earth colony where they would confront the Doctor’s ach enemies – the Daleks! Although sadly The Power of the Daleks, along with many other classic Doctor Who episodes, ended up being junked by the BBC, now this renowned story has now been lovingly reconstructed, produced by the same team behind the successful animation of the lost Dad’s Army Episode: A Stripe For Frazer (released on the BBC Store in February this year), as a brand new six-part black and white animated version, together with an original audio recording, to allow this classic story to be released 50 years to the day after the stories original broadcast. Now at long last we will be able to enjoy Power of the Daleks in a format that will be about as close to experiencing the original episodes as possible. 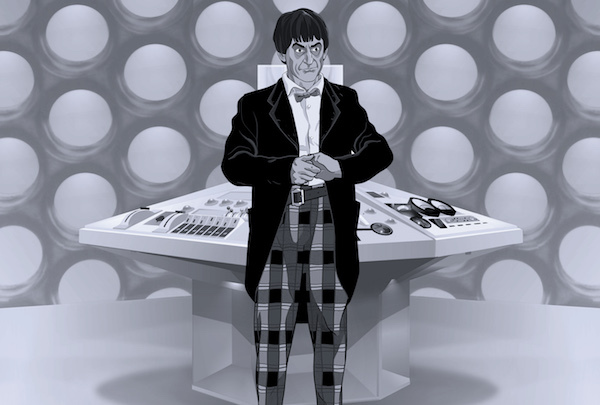 It will be great for fans old and new to experience Patrick Troughton’s first story as the Doctor in animated form, it’s a fantastic story, and to see it come to life with animation like this will be amazing! 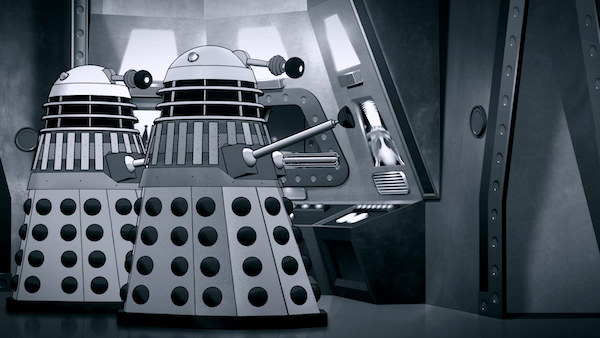 Check out the trailer for the new Animated version of Power of the Daleks! on Saturday 5th November 2016 followed by the DVD on Monday 21st November. On Saturday 5th November there will be a special screening of episodes 1-3 of Doctor Who: The Power of the Daleks at BFI Southbank, London which will also include a Q&A with Anneke Wills, Charles Norton and Frazer Hines. More information will be available from bfi.org.uk from Monday 19th September. This is AMAZING news (thanks for reporting it Paul), truly exciting. 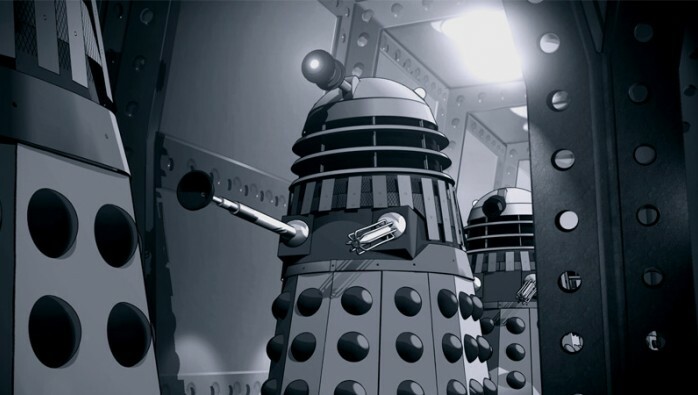 I’ve ‘heard’ Power of the Daleks via the audio recording but to have it brought to life in animation (love what I see from the footage in the trailer) is utterly fantastic and I can’t wait to grab the DVD! Fingers crossed it sells well enough to warrant further lost episodes getting the same treatment…erm Evil of the Daleks anyone? How about the Daleks’ Masterplan…now that would be ambitious! Yeah It’d be awesome if the Beeb could follow this release up with Evil of the Daleks, Dalek and Cyberman stories would be the biggest sellers and would no doubt make other releases viable. Really cannot wait to get this in November! I love the audio version of Power of the Daleks, the narration is perfect. I like the novelisation as well. I’m very excited by the animated release of Power of the Daleks as well, should be great! The 10th Planet is available on DVD now, and the missing episode 4 has indeed been animated. Its a great dvd, with lots of extra features as well, highly recommend!